Daiwa Ninja LT är den mest tillgängliga LT-rullen i sin klass. Ett äktenskap av råhet och lätt vikt i en rulle med en prestation som erbjuder oslagbart värde för pengarna. Denna storlek på rullen är väldigt allround och gör sig lika bra på kusten som i insjöar. Den högteknologiska interna mekanismen har ett "Tough Digigear"- kugghjul med en 150% längre livslängd än tidigare generationen Ninja. Detta är sammansatt med en välvd luftrotor för en otroligt jämn och stabil lindningsverkan. 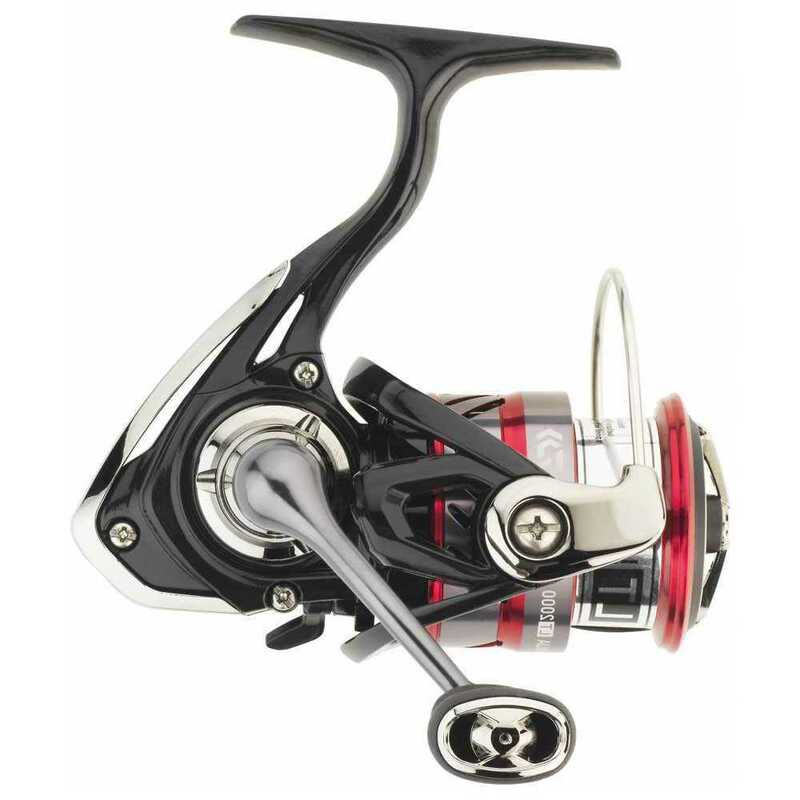 Daiwa has a fine team of service technicians waiting to service your reels. A reel is like a car, it should be maintained once a year to keep it casting smooth and effortlessly. Why not send in your reels in the off season so you will be ready to fish in the spring. Our customer service department can help you find the part you need to help you enjoy a trouble free day on the water. Daiwa will repair or replace, without charge, any Daiwa reel which is defective in workmanship or materials for a period of two year from the date of purchase by the consumer. Once the reel is received, our service technicians will inspect to identify the issue, and if it is determined to be a manufacturing defect, we will repair the reel and send it back to you at no charge. If the damage is determined to not be warranty eligible (missing parts, accidental, misuse, inadequate care, wear and tear) we will contact you with a price estimate before starting any work. Please follow these instructions when returning reels for warranty repair: Do not remove parts, enclose proof of purchase and a Repair Request Form with nature of problem. Also, please list the model name and number of reel and your return address. To protect against loss or damage in transit, your reel should be carefully packaged and adequately insured. Please retain all shipping receipts. If you have any questions or don´t know how to do, please contact us. Daiwa rods are covered by a two years warranty. Once the rod is received, our service technicians will inspect to identify the issue, and if it is determined to be a manufacturing defect, we will repair or replace the rod at no charge. In case the damage to the rod is determined to not be warranty eligible (missing parts, accidental, misuse, inadequate care, wear and tear) a replacement rod will be offered for a discounted charge. An estimate will be sent to customer showing the cost of the replacement. The customer must make payment to Daiwa before shipment of replacement rod. Please follow these instructions when returning rods or reels for warranty repair: *DO NOT CUT RODS*, enclose proof of purchase and a Repair Request Form with nature of problem. Also, please list the model name and number of rod and your return address. To protect against loss or damage in transit, your rod should be carefully packaged. Please retain all shipping receipts. If you have any questions or don´t know how to do, please contact us.